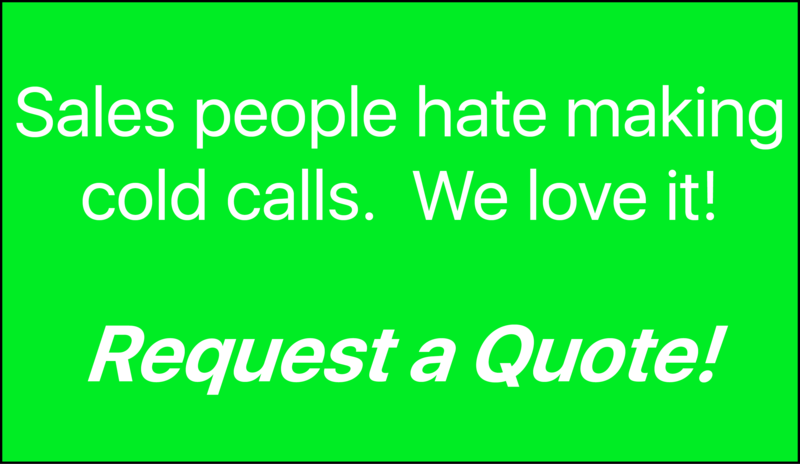 Salespeople hate to cold call. We love it. Focus on closing more deals with well-qualified leads generated by OnBrand24’s outbound call center services and maximize your ROI today. OnBrand24 delivers both business-to-business (B2B) and business-to-consumer (B2C) outbound campaigns that empower business development strategies. For more than 30 years, OnBrand24 has provided customized outbound campaigns to clients across numerous industries including: business services healthcare, manufacturing and technology. They have utilized our outbound services to increase productivity and boost sales. Our clients consistently report strong ROI, with realized revenue. Using innovative call center technology we can provide you with detailed reporting, call recordings, real-time call monitoring and much more. Key to OnBrand24 lead generation call center effectiveness is our "Advanced Agent Model." We've built a call center services team of motivated, educated, articulate and professional outbound call center representatives. They go beyond reading a script. They engage customers in dynamic dialogue and communicate your key selling messages. They know how to ask the right questions and move prospects toward scheduling appointments, product demo or a phone call from your sales team. OnBrand24 appointment scheduling representatives have the business background and ability to uncover sales opportunities and identify decision makers. Our call center representatives offer a combination of maturity, education and professional / sales experience unusual among outbound call centers. We hire only highly educated and talent-rich workforces. Seventy-five percent of our representatives have at least a two-year college degree; they have an average age of 37; and they have an average of five years of sales and call center experience. They deliver a professional-level experience that is above the standard of other call center services providers. B2B Lead Generation - OnBrand24's B2B lead generation call center outsourcing solves appointment setting problems with a single-minded approach: we'll rapidly cold call hundreds, or thousands, of accounts, identify new customers, and fill your sales pipeline with closeable new leads. OnBrand24 will build you a business development motor that kick-starts your sales strategy, fills your calendar with quality sales appointments and generates new sales revenue – at a surprisingly low per-opportunity cost. Appointment Setting – Fill your calendar with quality sales meetings and webinars. Check out what OnBrand24 appointment setting and B2B lead generation has done for a leading database software companies. Sales – Our experienced call center agents also can serve as your inside sales team, contacting new or existing customers and transacting the entire sales process through to the close. Let us be your inside sales team and increase sales today! Customer and Market Research - OnBrand24 call center outsourcing also does market research and customer surveys that help our clients understand buying trends and uncover potential new buyers. Uncover new customers and their buying plans. Talk to our Outbound Sales Specialists and see how OnBrand24 can reinvigorate your sales pipeline by generating new, qualified leads for your company.